A small business office is more than four walls and Wi-Fi—it’s a creative and productive space full of moving pieces working together to power your business. To serve your customers with the very best products and services, you need to ensure every aspect of your operation—from procurement policies to floor plans—is properly configured. This guide details all of the steps necessary for getting a new office space up-and-running and an existing office space in tip-top condition. New office space is often necessary to accommodate an expanding workforce or increase your access to clients and customers. The section includes tips for selecting the best location and smartest lease arrangement. Whether you’re moving into a new space or simply rearranging your existing one, your office layout will dictate how your employees communicate and collaborate. This section details the benefits (and drawbacks) of open, closed, and modular plans. Don’t let unnecessary expenses drain your budget. This section details simple ways to save money and manage supplies while maintaining a positive office experience. Your office runs on employee energy, and your employees run on coffee, protein bars, and breakroom humor. This section identifies the supplies, furniture, and other office essentials critical to keeping your business functioning smoothly. The best suppliers work as business partners who deliver what you need, when you need it, and at the right price. This section lists important criteria to consider when choosing suppliers, improving procurement policies, or shopping through an online marketplace. When your office is running smoothly, you can spend more time generating profit and less time overcoming challenges. 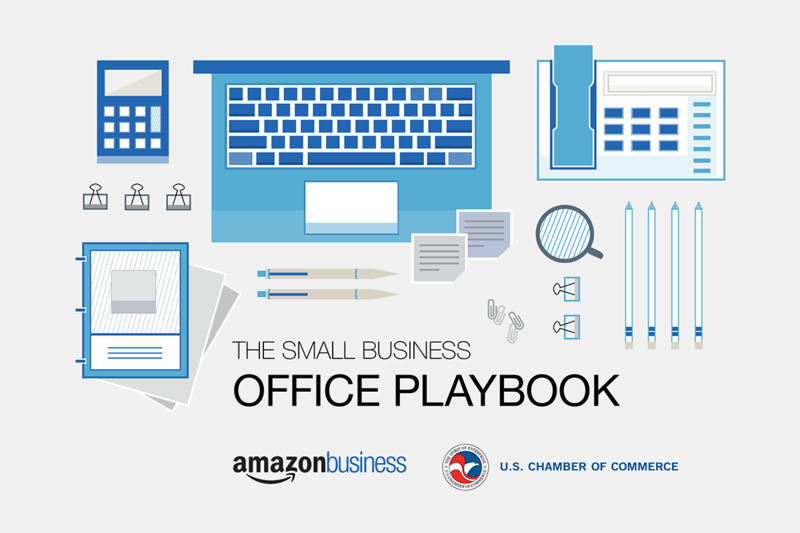 Learn more about the ways Amazon Business can streamline your office.